You likely already know that innovations in technology have greatly impacted your daily life. Advancements in dentistry technologies make it possible for the La Plata Dental team to provide treatments that are safer, more efficient, and more comfortable. Keep reading to find out more about our state-of-the-art practice, or contact us to schedule your appointment today. During your visit, we’ll take you on a tour of the office and answer any questions you may have about our dental technologies. Rather than struggling to explain what we see inside your mouth, we use intraoral photography to show you exactly what we’re talking about. When it comes to oral health education and treatment planning, this tool has become an essential component. We use a small, pen-size camera specially crafted to capture clear images of the smile. These digital images can be viewed with the dentist during treatment to help you completely understand your oral health concerns and potential treatment options. 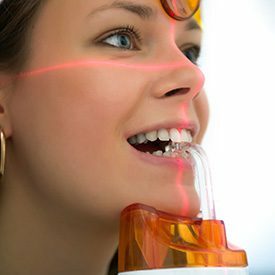 X-rays allow us to see inside the tooth and below the gum line to diagnose treatments in their earlier stages. Using digital x-rays, we’re able to capture high definition images more quickly using less radiation than traditional x-rays. 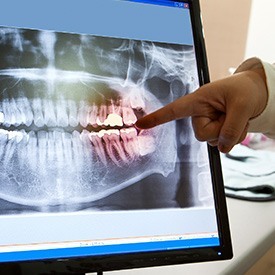 Immediately viewable on our chairside computer monitors, digital x-rays are easily stored from year to year and transferred to specialists and dental labs for advanced treatments in less time. We can reference past x-rays in order to diagnose areas for concern in earlier stages.